The first choice for communication support for Deaf and Hard of Hearing learners, wherever and whatever you are studying. cSeeker is the shared vision of Deaf brothers Guy and Alex Orlov, and an alternative way for Deaf and Hard of Hearing people to source language communication support in education, 24/7 and UK-wide. We aim to make academic life accessible through properly qualified and registered Communication Professionals (CPs) who have experience of the subject being studied, and who can be available at short notice. under our management. Click for more details. Share the vision: follow us on Facebook, Twitter, YouTube, Google+ and LinkedIn. cSeeker – Clear communication, clear education. cSeeker is a communication support agency specialising in education for Deaf and Hard of Hearing students. We encourage block bookings from colleges, universities, local authorities and others, and can provide Communication Professionals at short notice. These include British Sign Language (BSL) interpreters, manual and electronic note-takers, lipspeakers and others, all registered with a professional body such as the NRCPD, and all highly qualified and experienced. We also offer one-to-one mentoring to give our Deaf students more intensive help, by Skype or in person. Many Deaf people, especially those who use British Sign Language (BSL) as their first language, prefer to absorb information visually. So while your website may be excellent, your organisation may not be accessible to Deaf or hard of hearing people. Make your organisation stand out with a BSL video. We can convert your web pages into BSL videos presented by a qualified interpreter, and provide videos for your social media. Additionally, we can help with films for online training, as well as for business presentations. Given that 11 million of us in the UK are affected by hearing loss, the chances are you will come across a Deaf or hard of hearing client or colleague at some point. Our Deaf Awareness Training is available in three or six hour sessions, and shows you how you can best communicate with anyone with a hearing loss, gives you a taste of what living with a hearing loss might be like, and explains how you can make your workplace Deaf-friendly. We supply Communication Professionals who are qualified to a higher level than our competitors’. British Sign Language interpreters, for example, are hired at a minimum of Level 6. All are properly registered and fully qualified, and understand the subject matter they are dealing with. We also monitor quality with rigorous feedback processes to be sure our Deaf learners continue to get the best possible support. We’re keen to treat others as we’d want to be treated ourselves. That means treating our CPs, Deaf learners and everyone we come into contact with, openly and honestly. Our CPs are paid fairly for the work we do, while our Deaf service users are kept fully informed about their support and any changes. 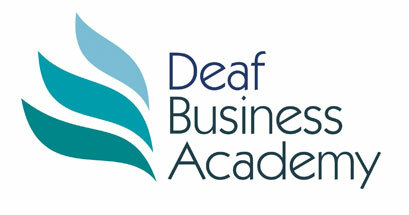 We also always communicate with Deaf clients in the way that suits them best. We don’t make any enter long, binding or costly agreements with us. Our pay as you go arrangements come with flexible terms and conditions. Equally, our interpreters and other CPs can be supplied at short notice where necessary, especially in emergency situations. Our additional specialist services include mentoring for students, and Deaf Awareness Training for employers and others. Mentoring is done from our Birmingham offices with Alex or Guy Orlov via Skype and is a chance for students to benefit from intensive one-to-one support and discuss all aspects of university life. Our access to an extensive database of hundreds of CPs means we always have someone with the specialist expertise needed, in the area and at the time they are required. We communicate directly with Deaf students as necessary, and are flexible to what they need, for example if they prefer to book a particular interpreter. We’re able to communicate with Deaf clients in the way that suits them best to help maximise their academic potential through a high standard of communication support.